$57 Learn to Meditate & Guide Others Course | Certification Available! Melissa’s Learn to Meditate in Minutes course will guide you into that calm, centered state of meditation quickly and easily! 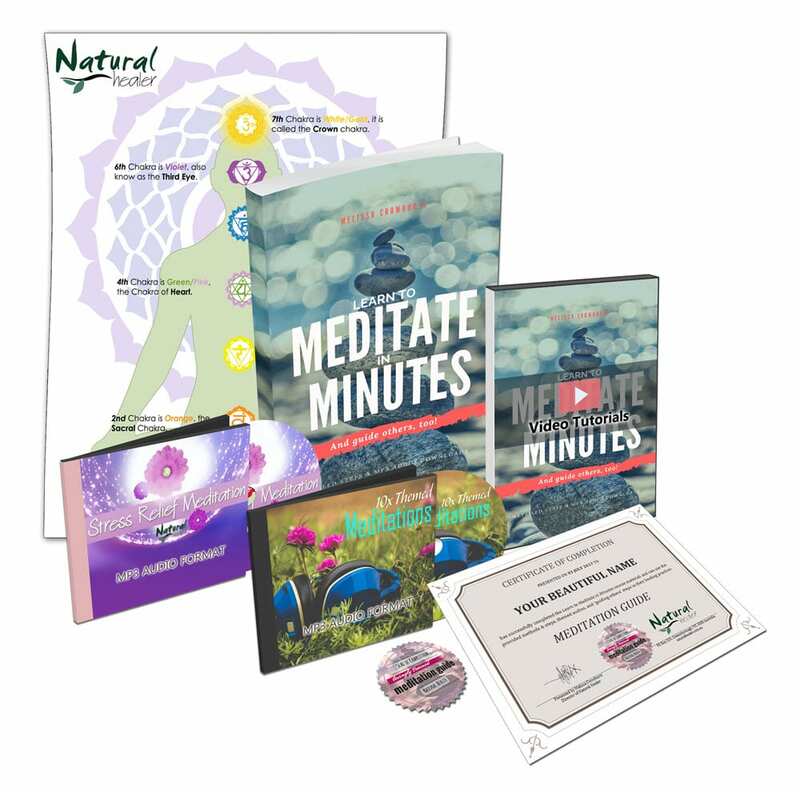 What’s more, you’ll learn how to guide your family, friends or clients in meditations, too! Learn what meditation is and step-by-step processes! Course includes a detailed handbook (PDF), 16 videos, 20 written articles, 6 quizzes, 1 final exam, and more! Relieve stress! Reduce anxiety! Gain clarity! Melissa’s 70-page Learn to Meditate in Minutes handbook (PDF)! Five (5) Themed Guided Meditation Audios (MP3) that not only help you learn how to meditate, but can focus in on specific goals too! 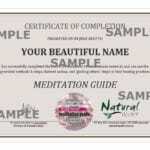 A lovely Meditation Guide Certification of Completion (PDF) upon completion to print out if you choose to display it in your healing area or office! You’ll be amazed at how meditation can bring relief to you both physically and emotionally! This course is designed to introduce newcomers to meditation as well as be a great additional learning resource for those with some (or even a lot!) of experience. 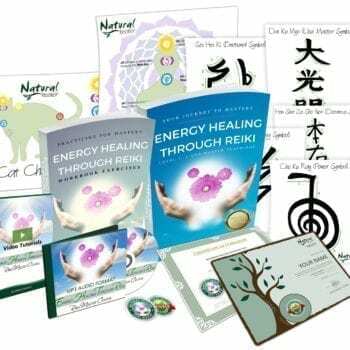 Essentially, I created this course in a manner so anybody can learn and benefit from it, or as additional learning for other loving healers, or as complement to my Reiki Master Certification course! Meditation is essential to well-being in my opinion. Melissa's course has brought my practice to another level, one I can share with others. I live in a small Northern Ontario Canada community. Last night I was at the library studying Melissa's course when the librarian walked by and said "Oh wow! I took Melissa's Reiki course. She's a fabulous teacher" ...I agree with her. Well done! 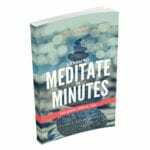 A 70-page Learn To Meditate in Minutes And Guide Others, Too! Handbook (PDF), which includes explanations, step-by-step meditation methods, scripts and more! An additional four (4) further meditation audios to add to your collection - so you'll never run out of variety to listen to! Lifetime access to the Online Student Platform - which has links to files and 16 video tutorials (over 1 hour of video) with closed captioning available, and interactive quizzes to further enhance your learning. If you’re ready to stop hurting and start healing, simply click the add to cart button below! And of course, if you have any questions be sure to check out our FAQ and refund policy here; or to reach out and contact us here anytime! Melissa’s style of teaching by example is very effective, enjoyable and encouraging. I recommend this course for anyone seeking inner peace for self and others! Thankyou you so much i was really happy from start to finish and intend on doing more courses with you. Really fantastic. Highly recommend also. Easy to follow and understand. Each step is thoroughly explained and broken down. Highly recommend. This is a great, user-friendly course. I learned so much in such a short time. I am a counselor, and am planning on teaching courses in this. 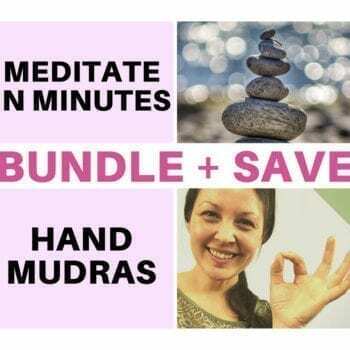 I’ve been meditating every day now for months and have felt the need to share with others, this course is perfect for helping other people meditate and perfect for creating the meditations I need and use. This is a great course. I thoroughly enjoyed it. I certainly will do more meditation and will use the lecture notes and the exercises again. Thank you Melissa. I have minimal experience with meditation. I found this course very interesting and Melissa’s voice is so calming. As a 38yr old who suffers with anxiety on a daily basis listening to the audio’s on most evenings I have already found myself a lot calmer in a couple of months, and less anxious which I am truly amazed with. I have also taken Melissa’s the Reiki Certificate for personal interest and growth. A friendly and easy to understand course that will bring lasting knowledge and wisdom. Thank you! Enjoyed the audio’s and it was an easy course to learn.